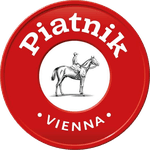 Whoever talks about playing cards, no matter whether in Austria or elsewhere, means PIATNIK. The Viennese playing card manufacturing company , FERDINAND PIATNIK & SONS was founded in 1824. In the course of more than 180 years history of the company, both the manufacturing process and the product range have changed considerably. The Viennese playing card manufacturer not only produces around 25 million playing cards per year. PIATNIK also develops, produces and distributes a whole range of games for children, grown-ups, and the whole family, as well as a wide selection of puzzles in many different sizes and degrees of difficulty. The name PIATNIK is known around the world and everybody knows "PIATNIK is trumps".